Setik is a set of Photoshop Actions containing 21 Actions you could use to create stitched web elements based on any shape or path. Results are saved on layers with layer style, based on Global Lighting makes it directly blend to your website design. Change the thread & base colors & style with ease. 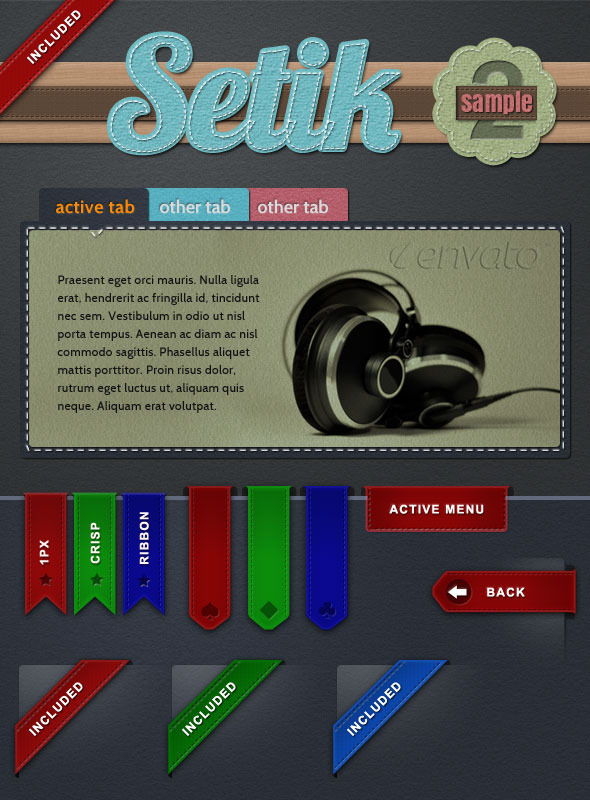 Ranging from 1px to medium sized stitch style commonly used on web interface design. Tested on Photoshop CS3, CS4, CS5. 3 Sample PSD, Layered and customizable. 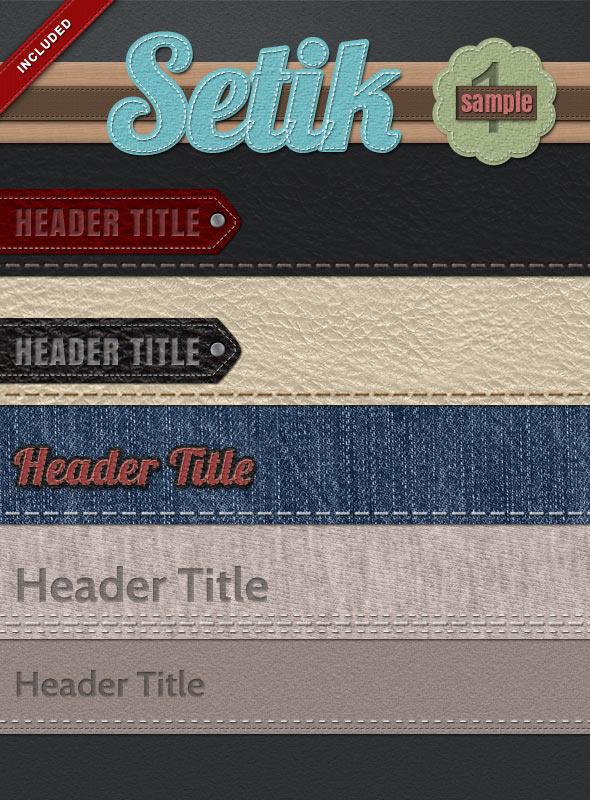 30+ layer style : background with skin, leather, & fabric pattern. Text effect used on sample files.